Cherry Casino – Festive Spin-Off! Get ready for a Mexican party! Contrary to other years the Christmas Calendar 2016 at Cherry Casino wasn’t something to shout about, nor to have players jumping with joy. However, their ongoing promotions are always good fun and excellent value for money. This time they chose the Mexican themed slot Grim Muerto from Play’n GO where a mariachi band with big sombreros on the way to the graveyard to celebrate the traditional Santa Muerte day is dishing out Wild Reels, Multipliers and Free Spin features. And don’t worry if you miss the march with the band as there will be one more “festive spin-off” on New Year’s Eve. As for today, bag up to 250 Free Spins on Grim Muerto by hitting the bonus round a selected amount of times. The more you collect the higher the number of Free Spins that will be credited on 30th December 2016. 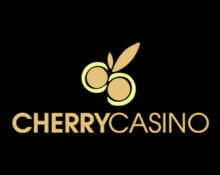 Cherry Casino has been in the online gaming market since the early days, namely the year 2000, and the company behind it, PlayCherry Ltd., has a vast experience in online and land based casinos. This lead to a very well designed site with tons of top providers for their games delivering a great gaming experience to any player in the world. Later they added Euroslots and a few more focusing on nordic countries and have grown to a trusted and acclaimed operator. Not yet marching at Cherry Casino? Then sign-up now, collect 20 Free Spins just for registering and Deposit Bonuses on your first 3 deposits. Join the graveyard fun at Cherry Casino’s festive spin-off promotion from 28th – 29th December 2016, 23:59 CET and you could collect up to 250 Free Spins on Grim Muerto. Spin on the slot with a minimum €0.20 and collect Free Spin bonus rounds for an increasing award of Free Spins. Hit the bonus round 3 / 10 / 25 / 50 times and receive 20 / 50 / 120 / 250 Free Spins on the same slot, credited on Friday, 30th December 2016, by 14:00 CET. Winnings from the Free Spins carry a 40X wagering requirement and players need to adhere to a maximum bet of €5 while they are wagering. Cherry Casino Bonus Terms and Conditions apply, always read them first.